The research of three-dimensionality, of a statue relationship with the space and of its immobile dance with light are some of the revolutionary traits of Canova’s art. 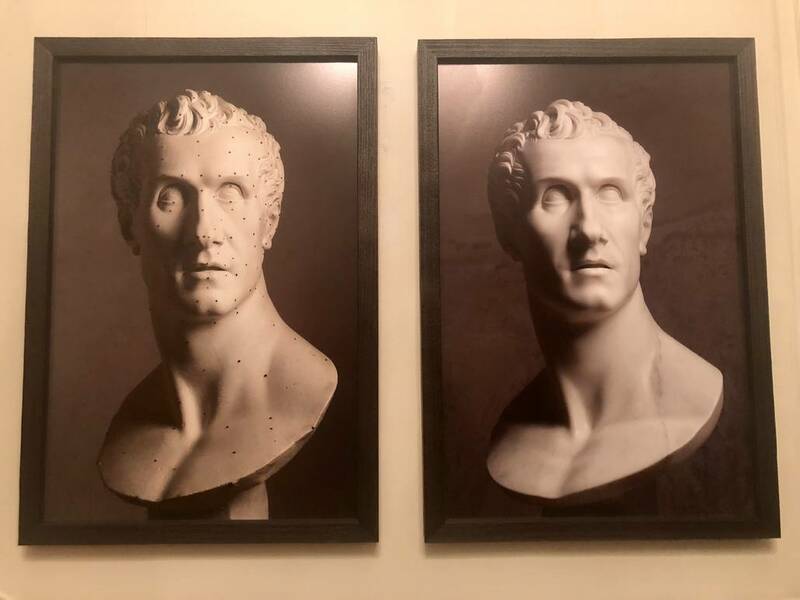 One can think that flattening a Canova’s statue down to the two-dimensionality of a photograph would take away some of its magic. 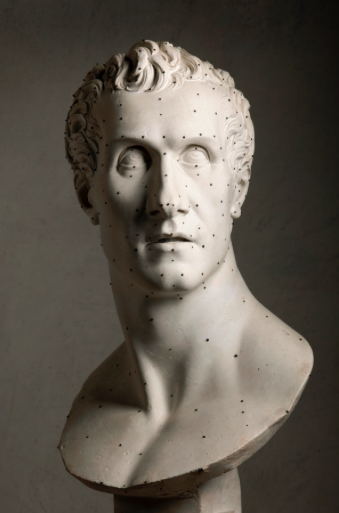 But, it is true that Canova’s sculptures were thought to give something to the viewer from each different angle. 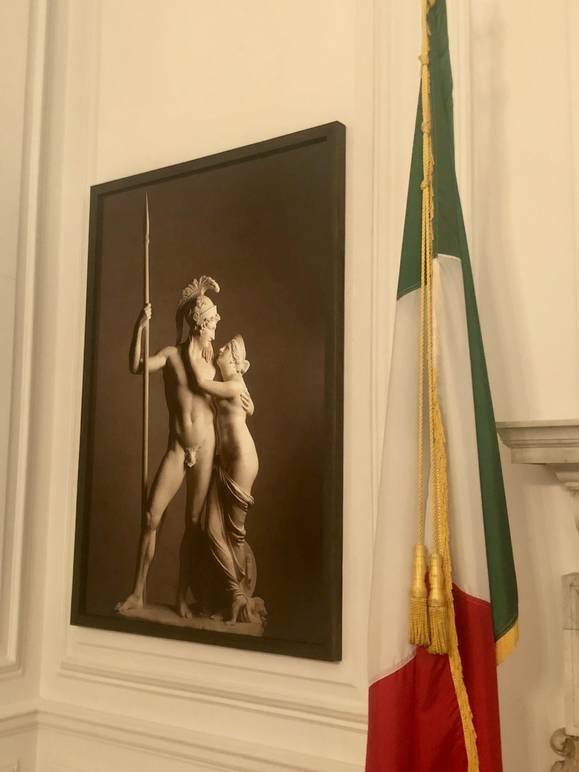 And that is what Zonta’s pictures, on show at the Consulate General of Italy, capture. A work that investigates the pieces from unusual points of view, making them more modern and relevant than ever. 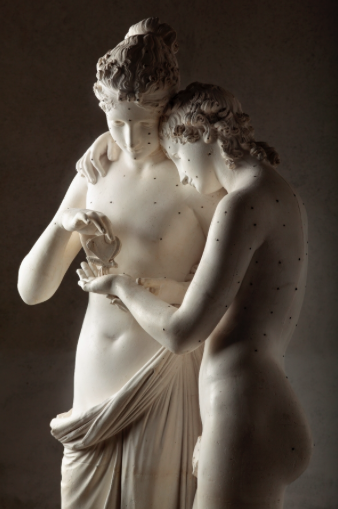 The wonderful pictures are a loan from the Museo Canova in Possagno in collaboration with Gyspoteca, that along with the Venice International Foundation and Friends of Venice Italy, were instrumental in bringing all of the three Canova’s exhibitions to New York. This was also made possible by the wonderful work of support, communication and coordination that Italian and American Institutions put in action in the territory of the Tri-state area. The Frick Collection, Consulate General of Italy and the Italian Cultural Institute in New York, endorsed by the Ministry of Foreign Affairs and International Cooperation in accordance with the Italian Embassy in Washington, all cooperated in a joint effort that contributes to consolidate the fruition of Italian art and culture by the American public. The photographer was born in Bassano del Grappa in 1958. In 1977, he moved to Milan where he worked at Alfredo Pratelli's Publifoto; within the renowned agency he assisted Alfa Castaldi and Chistopher Broadbent. From 1979 to 1982, Fabio Zonta was assistant to Davide Mosconi with whom he established a strong collaboration, which ended in 2002 when his mentor and friend died. Simultaneously, since 1980, he has collaborated with several design and architecture magazines and his photographs have been regularly published by Abitare, Domus, Gran-Bazaar, Ottagono, Modo and Interni. Fabio Zonta has been a staff photographer for important architecture firms, such as: Cini Boeri, Matteo Thun, Sottsass-Associati, Antonio Zanuso, and Venini glassware in Venezia until 1986. He has photographed the work of Renata Bonfanti, Laura Diaz de Santillana, Philip Tsiaras, Lee Babel, Stefania Lucchetta, Candido Fior, Alessandro Diaz de Santillana for catalogues and exhibitions. Since his first solo exhibition in 2003, he has been focusing mainly on the Natura Morta theme; he has had exhibitions at Paris Photo, Art Miami, Ginevra, Roma, Firenze, Milano, Torino and Genova. He has released several publications and his work is part of significant collections both in Italy and abroad. He works and lives between Cima Lan and Milan.